Confession: I eat pizza about once a week. Regular, dairy cheese pizza. I know, I know. That’s not very vegan of me. But it’s one of the few non-vegan eats that I will allow myself to enjoy, guilt-free. I had seen Tofurky brand pizza in the frozen section of WFM. I stared at it during several visits before I finally decided to try it out. What really sold me on it was that they use Daiya ‘cheese’ in their products. When I first tried it, I was floored. 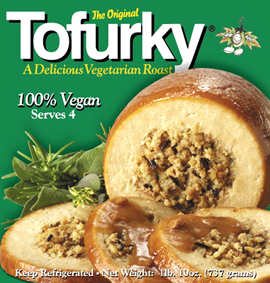 I can’t help but associate Tofurky with, well, Tofurky, so I wasn’t sure what to expect. Tofurky pizza is delicious! Yes, it’s easy to make your own pizza and we encourage it. But sometimes, you just need something you can take out of a box, pop into the oven, and then devour 15 minutes later. 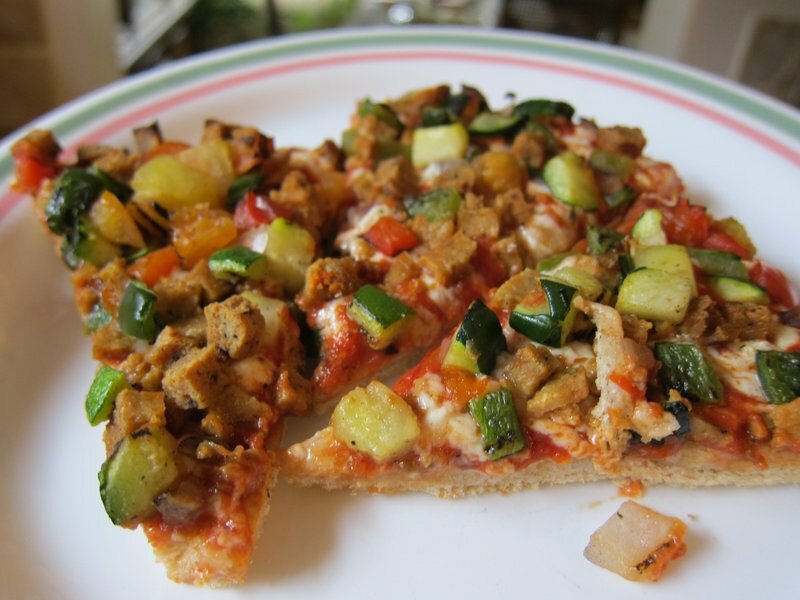 Tofurky pizzas come in three varieties: cheese, pepperoni, and Italian sausage with fire roasted veggies (above). I have tried all but the pepperoni, and that’s next on my list. I don’t know what the secret is to Tofurky pizzas (other than the genius use of Daiya ‘cheese’), but they are tasty and satisfying and need no other spice or sauce to be edible. Unfortunately, they’re not gluten-free. Sadface. In addition, the cost is a little absurd, but still very sensible in the grand scheme of things. Also, ZERO CHOLESTEROL. I love being able to brag about that. 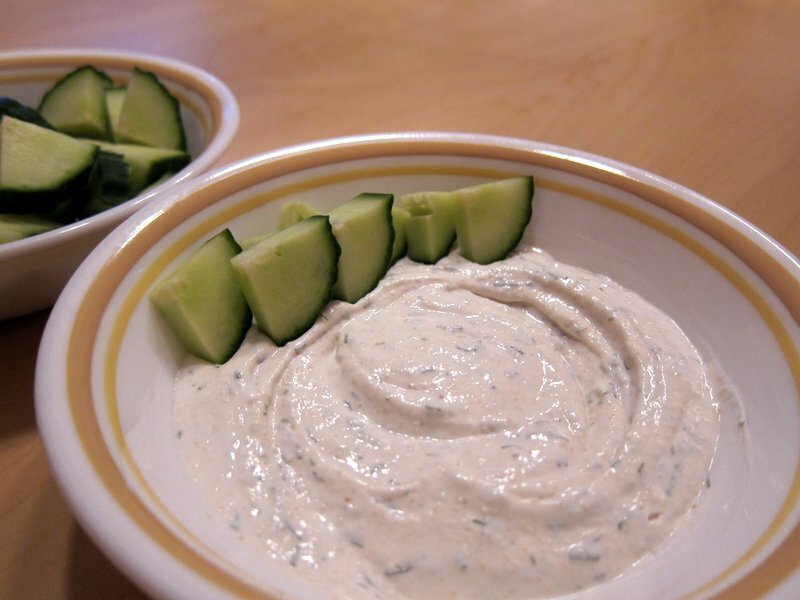 Switching gears, I have recently had a serious craving for ranch dressing/dip. There are a lot of fabulous freshly tossed salads in our work cafe, but I can’t enjoy them because the dressing is ranch or ranch-based. I finally opened up my brain and decided to make my own dip. I have two versions. They’re both really easy to whip into shape, and I have no shame in admitting that I am guessing the proportions in the recipes below — the post is titled The Lazy Vegan, after all. Screwing these up is near impossible. That pizza looks dang good! Did not know Tofurky made pizza, will definitely look for it. Brent LOVES Tofurkey pizza. That ranch dressing looks awesome! I had no idea this existed. Yummmmmm. PS I love vegan ranch. I’ve been using a variation of the second recipe you mentioned here. It’s sooooo good. I’m so glad my bad vegan self can still get down with ranch!